This weekend I will likely run my 4th race in 5 weeks. I say likely because I technically haven't registered yet because I'm broke and lazy. Yay, 25. Anyways, it is not that big of a deal. But I do really like running road races, and I especially like 5ks. For those of you that don't give a hoot about running, that's 3.1 miles. Not much in distance. But it makes for a nice run, and of course when you are running around Vermont, it is usually a great course too. That being said, since I've been a "runner" a handful of people over the last few years have asked me for some pointers before their first 5k. And I thought, who doesn't love unsolicited advice from me? I'll share it with y'all! I still get pre-race jitters, regardless of how long the race is. But let me tell ya, the easiest thing to think about before a race is just, I'm going on a run. I'm just going on a run. While I totally still nervously use the port-a-potties, and have to wear certain socks to every race, it helps! Seriously! 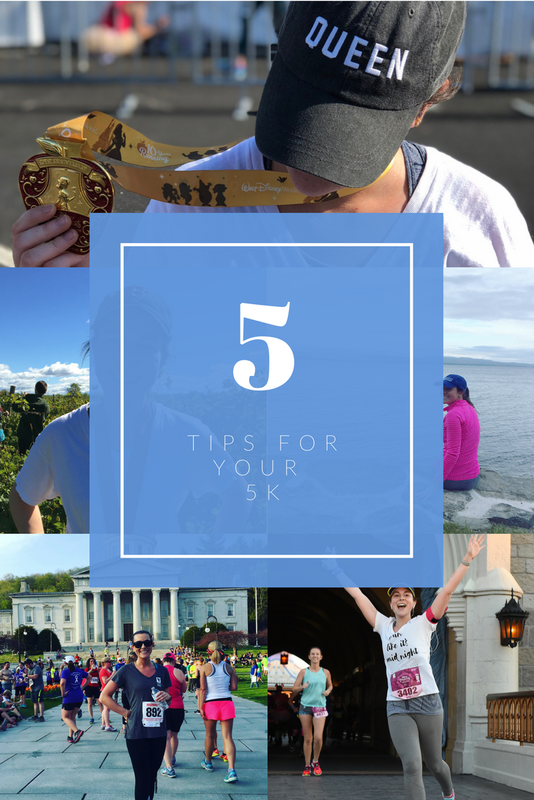 If it is your first 5k or your fifteenth, I wouldn't recommend going into it without having run...recently. There are a lot of "couch to 5k" programs out there that - while slightly insulting in their title - all make the same argument, start slow and gain endurance as you go. For what it's worth, when I started running in college I did the run for 2 minutes, walk for 2 minutes, schtick for weeks. And here I am today with two half marathons under my belt. Most 5ks are early enough in the morning that I stick with my regular race breakfast, and just add about 24-36 ounces of water to my morning. Ideally I like to have my 24 ounces done about 2 full hours before the race, then I tack on an extra 4 to 8 ounces in the last 30 minutes before the race. If though, you get dehydrated easily, or didn't get enough water the day previous, you're going to need more! Yes! I did hate typing that nice little cliche! But it's true...road races, especially up here, are so low-key and they are meant to be enjoyable. Knowing that will really help you relax and have fun on the course, regardless of time, pace, or distance. Bonus points if you get a running buddy too. I'm all about my pre-race routine. I set out my bib, and my race clothes the night before. I pack my race bag with my hat, my headphones, my running belt, and sneakers. I double check the race time, set my leave time, and even make sure I know how to get there. I don't often look at the course ahead of time (1. I don't really care. 2. I don't want to psych myself out.) But a lot of people like to know what they're getting into, so to speak. And that's that. Then the next morning, I'm ready. I eat my breakfast, drink my water, go to the bathroom 24 times, and head out. I will say, your first 5k is going to be so daunting. It will feel like everyone knows what they are doing. Everyone is faster than you. Everyone is more of a runner than you. And so on, and so on. But I guarantee two things: someone else in that pack is totally as scared and as new as you, and it is absolutely not daunting after the first 30 seconds. So, give it a try. You might just love it for the t-shirts and medals, like me.